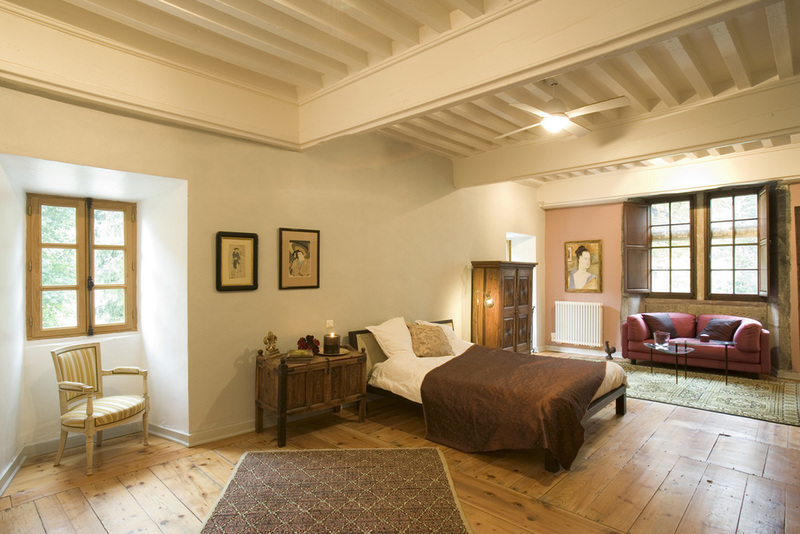 Each of the spacious en suite bedrooms has its own distinct style, combining antique charm with modern comfort. 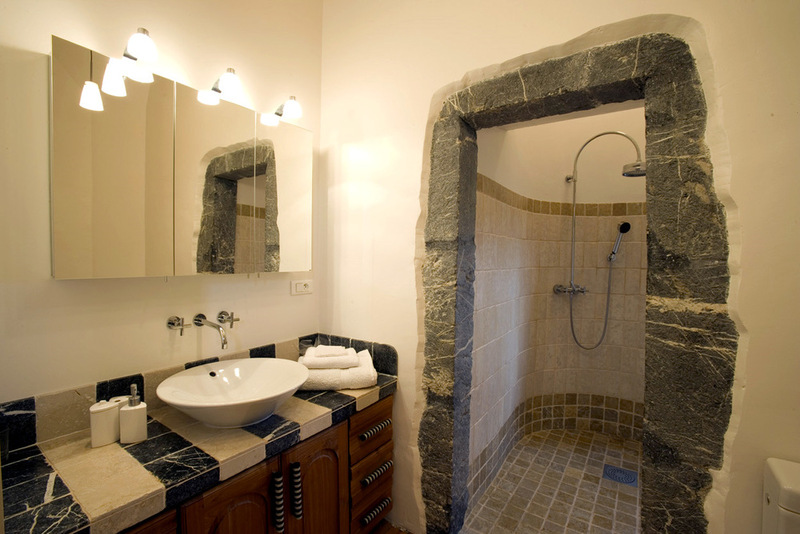 All rooms have a magnificent view, most provide a seating area and some have fireplaces. 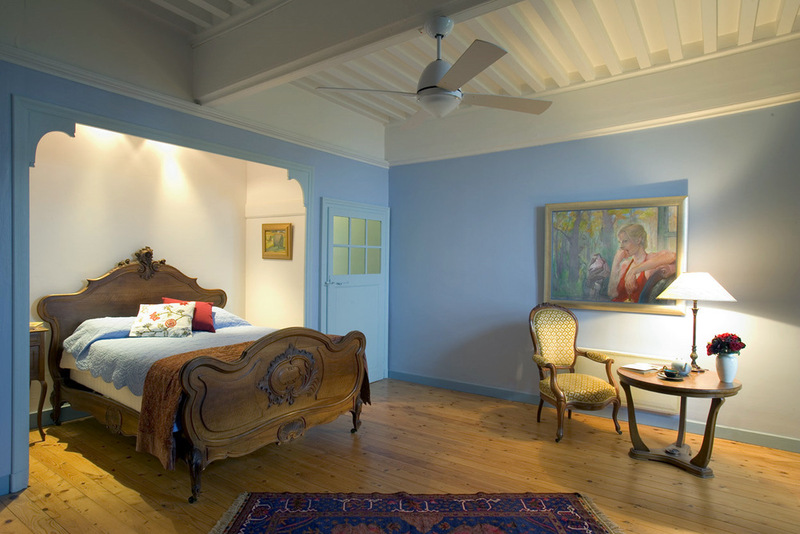 All the bedrooms have handsome restored hardwood floors enriched with imported rugs. Individual heating systems combined with ceiling fans maintain a level of constant comfort throughout the year. 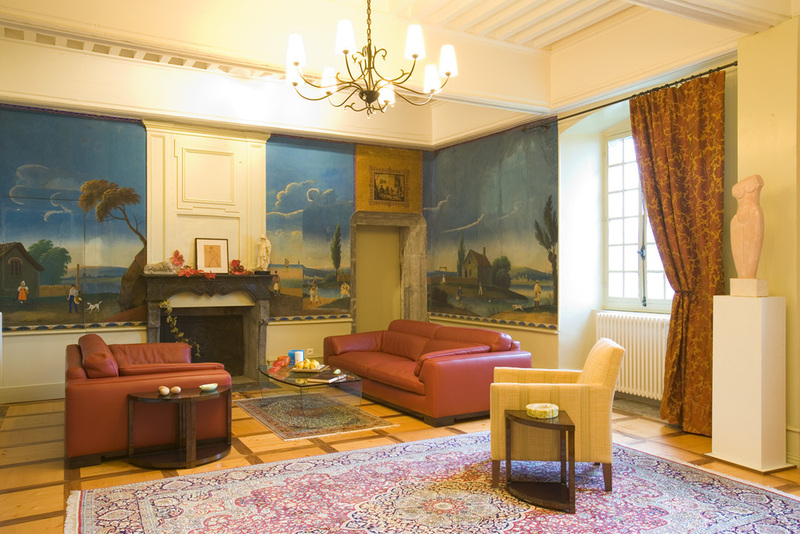 Located in the heart of the Chateau, the warm, elegant reception room features two fireplaces, high ceilings, two seating areas, magnificent walnut parquet floor with imported area rugs and walls displaying extraordinary art, including a refurbished original mural on paper. Shop from the local markets and create your own gastronomic delight in the Chateau's fully equipped kitchen fitted with state-of-the-art appliances and containing all the comforts of home. 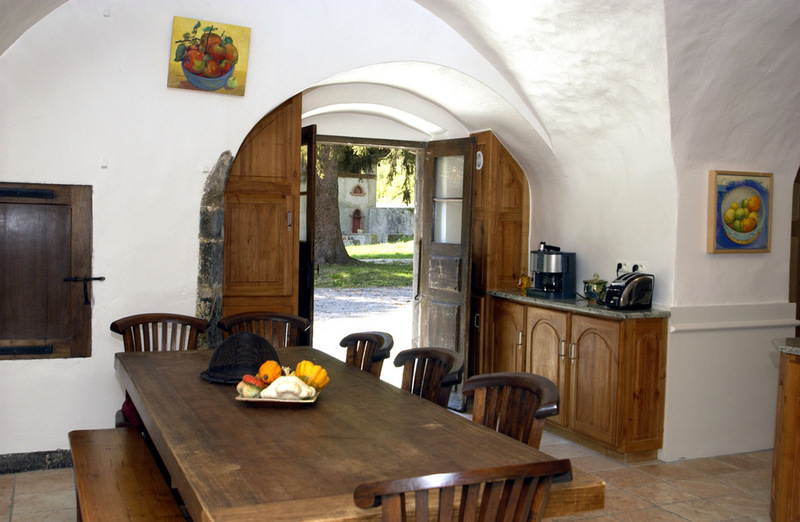 Allow one of the local chefs to cook for you or, better still, to instruct you in the art of French cooking. Let him show you how to pair the regional wines with the dishes you create. The salon, with adjoining terrace and dining room, is the ideal place to gather for aperitifs or for after-dinner coffee and dessert. This warm, inviting room features a fireplace, bar, audio system with iPod plug-in and CD selection. Enjoy a night of fun games: pool, poker, ping-pong, darts, X-Box or a board game. Lounge in the comfortable seating area with satellite TV. The game room also features a sound system with iPod plug-in, a wood-burning stove, high-beamed vaulted ceilings and a bar. 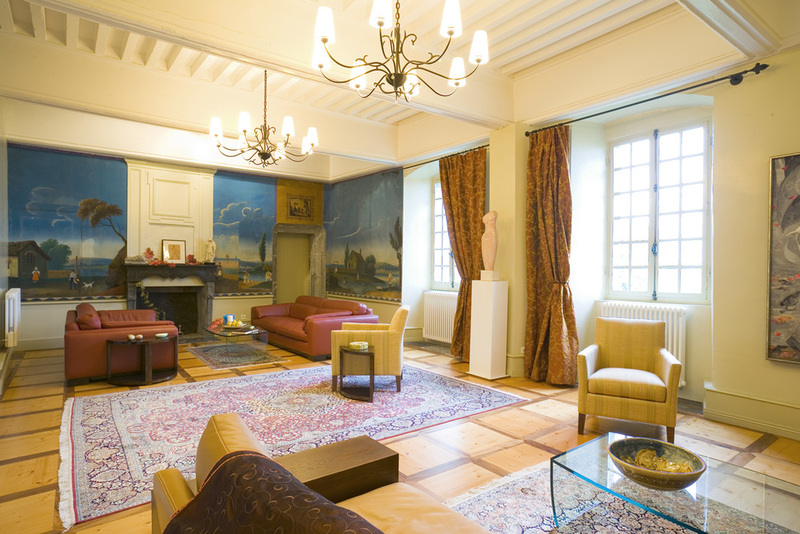 Most of the Chateau's walls are draped with fine art created by Patricia Terrell-O’Neal , painted in the private art studio that's located in the Chateau. Adjacent to the east terrace and the salon, the elegant dining room, decorated with red-wax walls, beautifully restored vaulted ceilings and cozy fireplace, is the perfect setting for any meal. Perhaps you'll want to set up a petite dejeuner or a romantic candlelit dinner for two or a gathering of friends and family to savor the regional foods of Savoie prepared by one of our local chefs. The Chateau's impressive screening room features surround-sound speakers, a 10-foot projection screen, oversize seating with footrests and a collection of over 800 movies from the classics to newer releases to choose from. 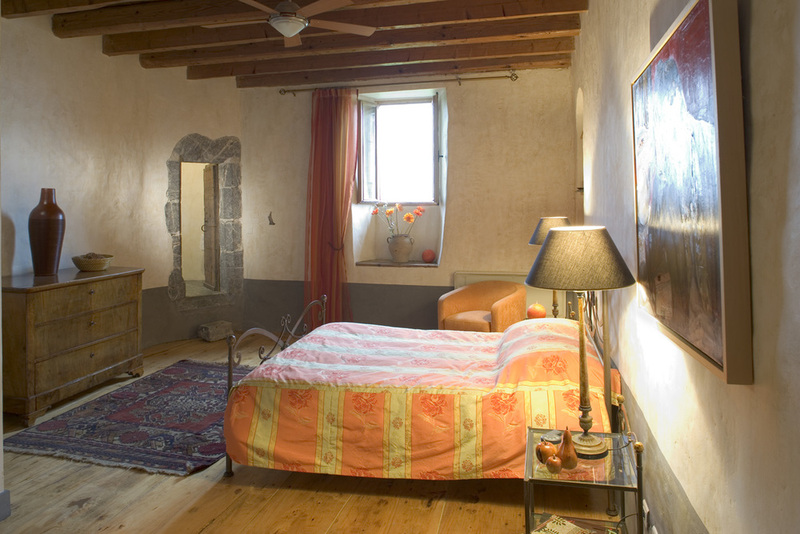 This spacious room with a fireplace to warm up in winter is the perfect place to relax with a glass of wine from one of the local vineyards and a book from the Chateau's library or to meditate while gazing through windows that face the Chateau's garden and the Alps.